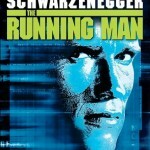 Arnold Schwarzenegger’s Running Man gets the high-def treatment this week. This is a film from back in ’87, around the time Predator, Twins and Raw Deal were released. Now it’s out in 1080p at 1.78:1 aspect ratio (originally 1.85:1) with DTS-HD Master Audio 7.1. Couple’s Retreat is an Oct. ’09 theater release that was co-written by Vince Vaughn, and stars Jason Bateman, Kristen Bell and Jean Reno among others. Blu-ray Disc is 1.85:1 aspect ratio with DTS-HD Master Audio 5.1. Extras include some deleted scenes, an alternate ending, and BD-Live functionality. Also on the shelves this week is Hard Rain from 1998 starring Morgan Freeman and Christian Slater. Worth checking out for the cinematography which creates a whole town under water. Aspect ratio is 2.39:1 and audio DTS-HD Master 7.1. It’s also one of the cheapest new Blu-ray releases we’ve seen at $11.99 (Reg. $19.99). Not a great week for Blu-ray but here are the rest of this week’s releases listed at Amazon.com.